This competition is dedicated to all tipsters that made an account through us at pinnacle.com and want to support bettors.club. 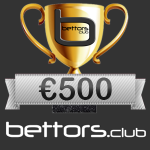 We want to reward those tipsters with bonus prizes for their support. The bonus prize pool is $200 and all prizes for this competition will be rewarded in the tipster’s pinnacle.com. 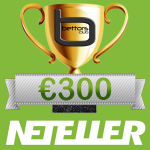 Besides the bettors.club Tipster Competition, all tipsters will automatically participate in the Pinnacle tipster competition. The rules are the same, the only differences are the prizes and the way we choose the winners. 1.Players must have a verified Pinnacle account in order to withdraw. 2.Only one account per player and per household, any attempts to use multiple accounts in order to gain an unfair advantage will invalidate all connected entries. 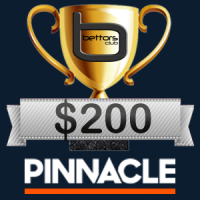 3.Players must place a minimum of 1 Real Bet on Pinnacle during the competition month to qualify for any prize. 4.All prizes will be paid directly into the Pinnacle accounts of the winners. 5.The total amount of any cash prize must be wagered at least 3 times (3x rollover) before the prize amount may be withdrawn. 6.The tracking of results and the accuracy of the final results is the responsibility of the host website, not of Pinnacle. 7.In the case of any disputes, the decision taken by Pinnacle shall be final.